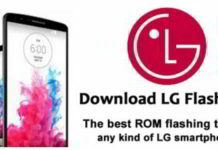 Check out How to Flash Stock ROM on LG Phones using LGUP Flash Tool. There exists so many flashing tools and coming to LG smartphones we have all new LGUP Flash Tool available to flash LG phones firmware. In this guide check out How to Flash Stock Firmware on LG Phones using LGUP Flash Tool download for Windows 10, 8, 7 and XP users. LGUP is the best tool to flash LG Stock ROM on any LG smartphone. It’s most preferred LG flash tool and the flashing process is pretty simple and straight forward. Unbrick LG phones by flashing stock .kdz firmware on the device. Reverting the device back to Stock ROM after trying out different ROMs altogether. Disclaimer: Flashing Stock ROM on your phone may result in damaging your phone permanently. It’s your own responsibility. Correctly download the right firmware for your device. Remember that a wrong firmware could brick your device. 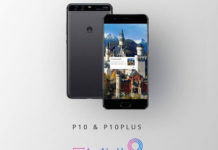 Even same phone model with a different model number will not work. Download the LGUP Flash Tool for Windows from here. First install the DLL version and then LG flashing tool. Connect your existing LG phone to PC using USB cable and it will be detected by the tool. Click on the “Upgrade” option and choose the file path and KDZ file. Once that is done, click on “Start” button to begin the process of flashing stock ROM on LG Android Phones. So, that a simple guide on how to flash stock ROM on any LG phone.